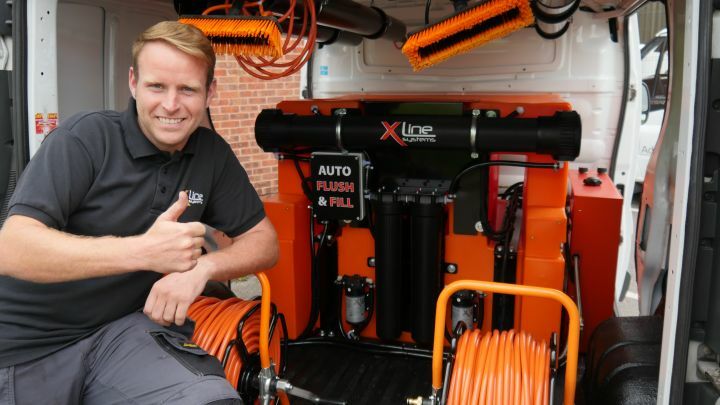 New for 2018 the Purewash Flat X Tank has been designed and developed by XLine Systems Ltd and Purewash. The Flat XTank comes in 3 sizes 210ltr, 450ltr and 710ltr.Having a low overall height, the flat tanks are suitable for those who want to optimise the space above the tank in the vehicle. The flat tanks come in 3 sizes and can work for dual operators. Today we have launched a new range of high quality brushes. These brushes come with a premium Dupont nylon clear outer bristle, and a slightly stiffer orange inner bristle. You will find these brushes to be more durable than our standard range of Evo-Lite brushes. 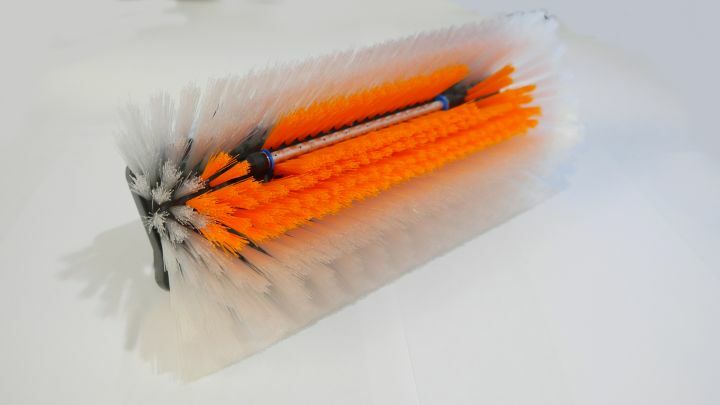 The outer Dupont® bristles are of a higher quality compared to our standard orange nylon bristles, the Dupont® bristle is also lighter compared to our standard orange bristle. These brushes are available in the following sizes: 26cm wide rectangular shape, 26cm wide sill shape. We only offer these in a standard monofilament bristle (so no flocked bristle versions available). Ever get tired of bending over to reel in your hose reel? With our new raised reel platforms, bending over is the thing of the past, now you can easily wind your hose reel in at chest height. At the same time these new raised reel platforms create additional floor space in your van, allowing you to carry more equipment. These new metal hose reel brackets are designed to retro-fit to any of our 3 sized X-Tank systems, they simply bolt onto the existing framework on the system. 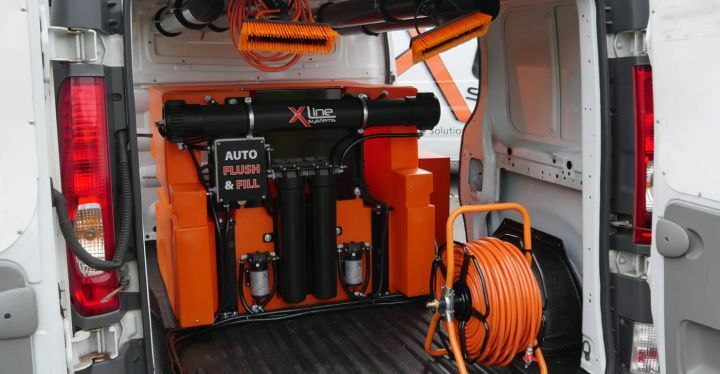 You have the choice of either bolting one of our fixed hose reels onto the platform, or we can customised the bracket to except other types of reels, such as an electric PowerUp hose reel. We can also install underfloor hose guides, allowing you to operate the system with your doors closed. 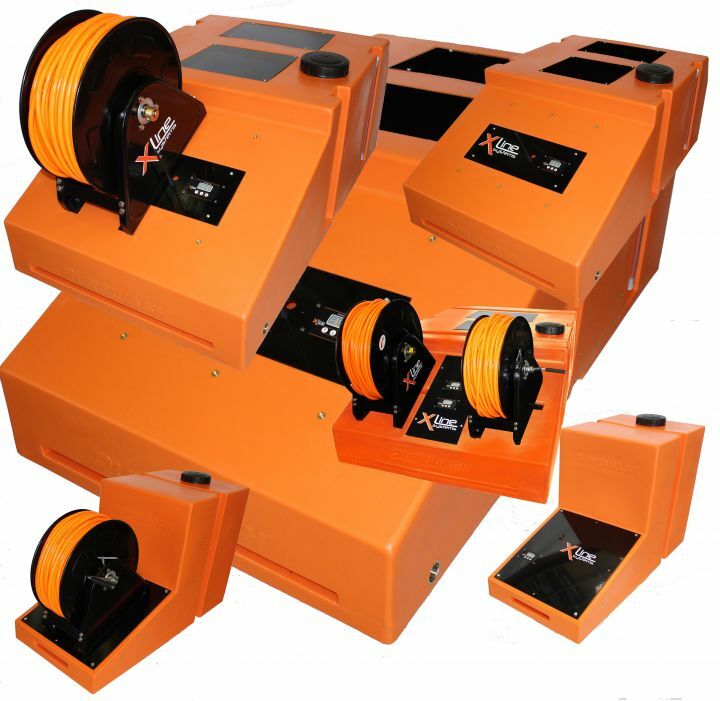 For more information regarding these raised reel platforms, please give our sales team a call on 0115 9394444. We have just launched a new wash and rinse bar thats fully integrated into our popular range of brushes. This new wash and rinse bar has a total of 11 jets of water creating a wider rinse area, this in turn helps speed up your rinsing time allowing you to clean windows at a quicker pace. This lightweight rinse bar is 45% lighter compared to standard brass jets. The rinse bar is recessed into the stock of the brush making sure the actual rinse bar does not stick out too far from the socket and risk coming into contact with the glass or frame of the window. We have just launched this new 350ltr flat tank system thats ideal to keep 1 window cleaner working all day long. This system will come pre-assembled and delivered on pallet for you to easily self install. Installation should take no longer than 1 hour, the tank can either be bolted in, or securely strapped if you prefer. If you want to work further away from your trolley system, you would find our 10mtr hose extension and hose wrap bracket very useful. 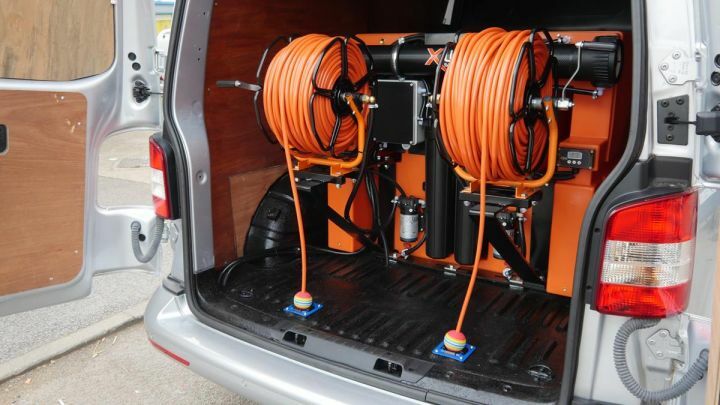 As an optional extra we can supply a 10 or 20mtr length of our 5mm hose, along with the relevant connectors and a micro tap allowing you to work at a greater distance from the actual trolley. This is a great benefit especially if you have trouble getting a trolley past a garden gate. We are now offering as an optional extra the ability to upgrade to a digital remote controller on our new 45ltr X-Trolley systems. For an additional £58+vat we can set your trolley up to be controlled via a remote fob, this will come on a lanyard allowing you to wear it around your neck for easy access. The 45 litre water fed trolley has been designed to give the user more water capacity while maintaining a compact overall size similar to the size of conventional fabricated 25tr systems. This has been achieved by integrating the components in a compact way allowing as much water capacity as possible in the overall dimensions of the trolley. The trolleys dry weight including battery is just under 20kg making it light enough to lift in and out of a vehicle utilising the lifting handle located on the front, there are two casters on the handle to help when loading the trolley. The trolley has a water tight lid designed with a breathable one way valve allowing you to use the unit without creating any vacuum, this lid also allows the user to lie the unit down in the boot of a small car when transporting. This Evo-Pocket water fed pole is desgined to collapse down to less that 1.35m so it can be used in tight situations and carried in smaller vans and cars. Its made from a high end glossy 3K carbon fibre and extends to 22ft. © 2018 xline-systems.co.uk. All rights reserved.